On Puthandu, people in Tamil Nadu start the day by making a visit to the temples. They sit down to relish a lavish spread of delicious vegetarian dishes in their best traditional clothes after having paid their respects to the elders in the family. 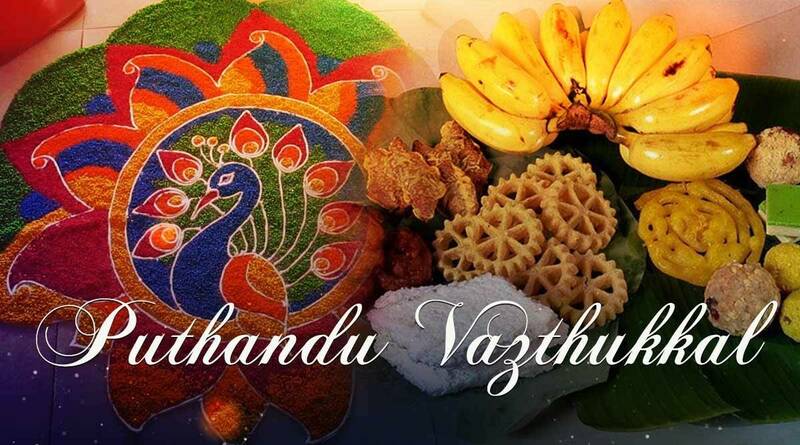 People in Tamil Nadu are gearing up to celebrate Puthandu (Tamil for new year) on April 14, this year. Set with the lunisolar Hindu calendar’s solar cycle, it is the first day of the traditional Tamil new year and marks a public holiday in Tamil Nadu as well as Sri Lanka. Interestingly, along with Tamilians across the world, many communities across India celebrate their traditional new year on the same day. While it is Vishu for people in Kerala, it is Bihu for those in Assam, Vaishakhi in Punjab and Pohela Boishakh in West Bengal. Manipur, Tripura, Odisha, Bihar, Uttar Pradesh, Himachal Pradesh, Haryana, Rajasthan, etc., too commemorate their new year festivities on the same day. On this day, people in Tamil Nadu spend time with their families after they clean up the house, take part in prayers and offerings and start the day by making a visit to the temples. They sit down to relish a lavish spread of delicious vegetarian dishes in their best traditional clothes after having paid their respects to the elders in the family. Alternatively known as Puthuvarusham, the new year begins with the first month of the Tamil solar calendar, Chittirai. In some parts of Tamil Nadu, the festival is also called ‘Chittirai Vishu’. As an arrangement of prayer offerings, a tray, comprising three fruits — mango, jackfruit and banana — money in the form of coins, gold or silver jewellery, a mirror, flowers, betel leaves and arecanut, is prepared. Similar to the tradition in Kerala, seeing this auspicious festive tray kept right beside idols of gods and goddesses as one wakes up, is believed to be a harbinger of good luck and prosperity in the year to come. Welcoming positive vibes and blessings into the house, floor designs called ‘kolams’ are made using coloured rice flour at the entrances. 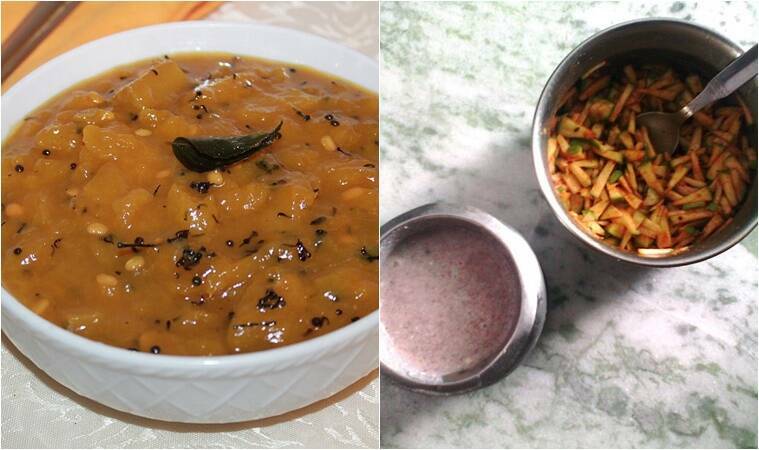 A scrumptious feast spread that awaits one on the day of Puthuvarusham. One of the star dishes on the menu on this day is mangai-pachadi, made using raw mango, sweet jaggery, red chillies, neem leaves and astringent mustard. An interesting metaphorical explanation behind the explosive flavours of the dish is that the dish is much like how life comes packed with different flavourful experiences — some sweet, some bitter, some spicy, some salty, et al.